Sometimes talking about personal problems with a close friend, spouse, or other family member is sufficient to gain support and insight. 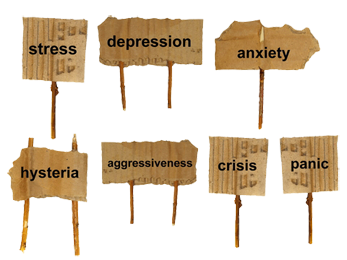 However, if emotional discomfort or distress persists, or interpersonal conflicts occur repeatedly, then a licensed clinical psychologist can provide needed help and guidance. An experienced and caring psychologist offers objective insight and scientifically validated strategies for solving personal problems. If you feel generally unhappy, anxious, angry, confused, shameful, powerless or stressed, or if you continue to repeat behaviors that are harmful to yourself or others, it may be time to seek professional help. You do not need to present with “clinical” or “abnormal” symptoms to benefit from therapy. Career issues, desire for personal and psychological growth, communication misunderstandings at home or work, parenting challenges, marital problems, poor health habits such as overeating and smoking, and issues related to sexuality and intimacy – these and many other concerns are effectively dealt with in therapy. How Do I Choose the Right Therapist?